C4 Logistics are extremely excited to welcome two of Great Britain’s most talented squash players to the Leamington C4 Logistics squash team. 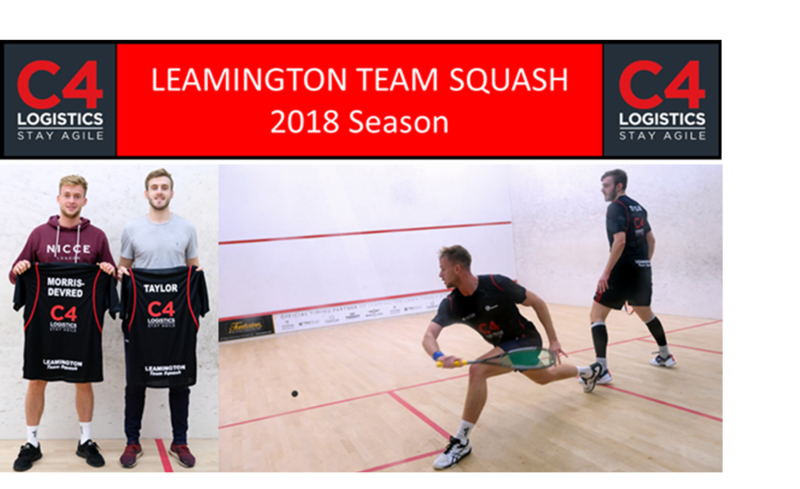 Owain Taylor and Elliott Morris-Devred have joined the Leamington C4 Logistics first team, currently competing in the Warwickshire League Championship. Owain Taylor is currently ranked 235 in the world and recently won a gold medal with the Great Britain team at the 2018 World University Championships. Elliott Morris-Devred currently plays for the Welsh Wizards PSL team and is one of Great Britain’s most promising talents, currently ranked 375th in the world. To find out more about the services offered by C4 Logistics please visit our website at www.c4logistics.com.